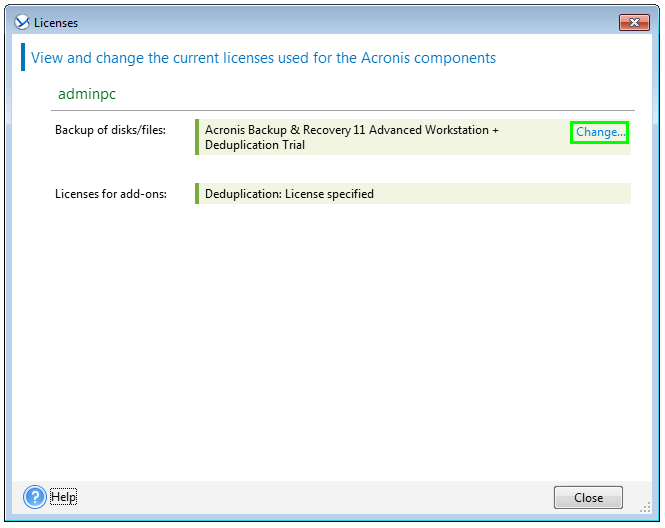 30947: Acronis Backup 11.7/11.5/11 Errors Out with "A problem with licenses has occurred" or "Feature is disabled"
Message: No license to perform the requested operation. Message: A problem with licenses has occurred. 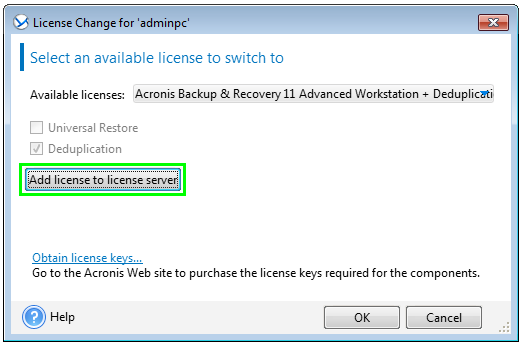 Click Help > Change license to check the licenses assigned to the machine. 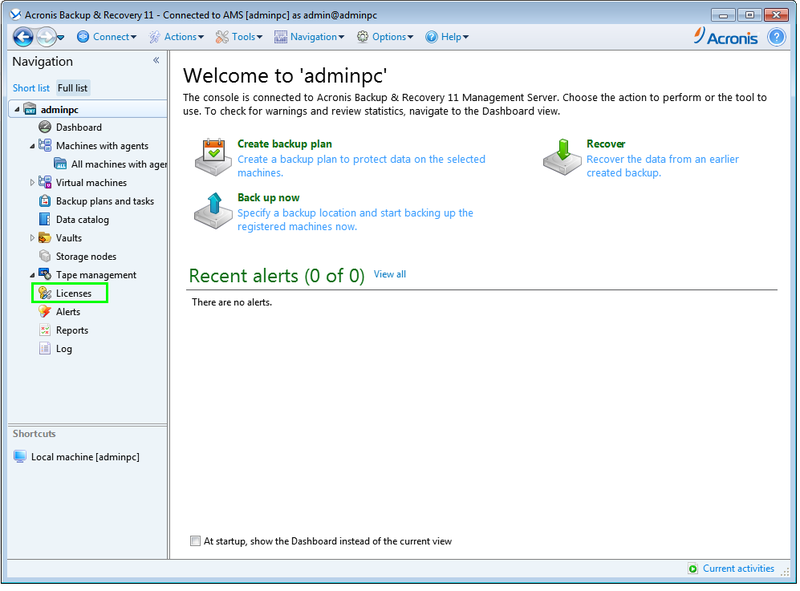 Or with this error message: Feature is disabled. 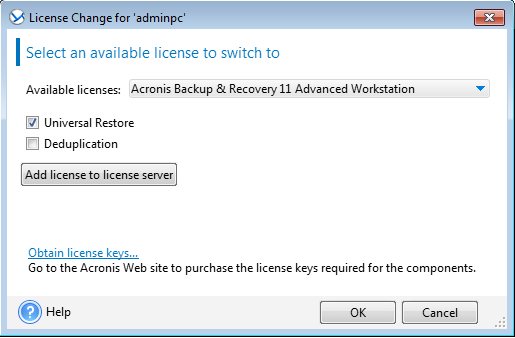 There is no license assigned to Acronis Agent (solution 1), a trial license has expired (solution 2), or the agent cannot verify the license on Acronis License Server (solution 3). 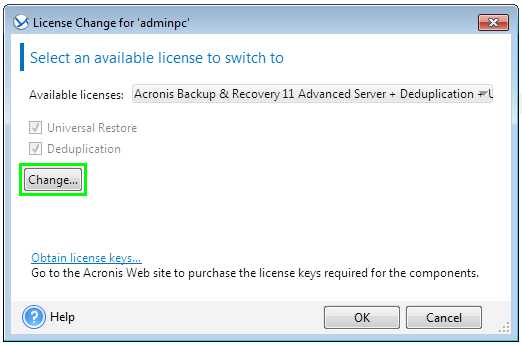 If an Agent machine does not have a license assigned, you can assign a license manually on the Agent machine or on Acronis Management Server. Press OK. License will be assigned to the machine. 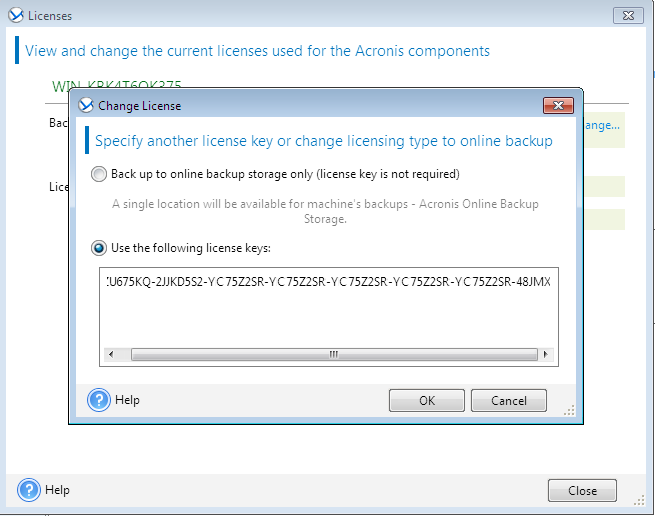 On the machine with Acronis Agent, go to Help -> Change License and check if license is assigned. 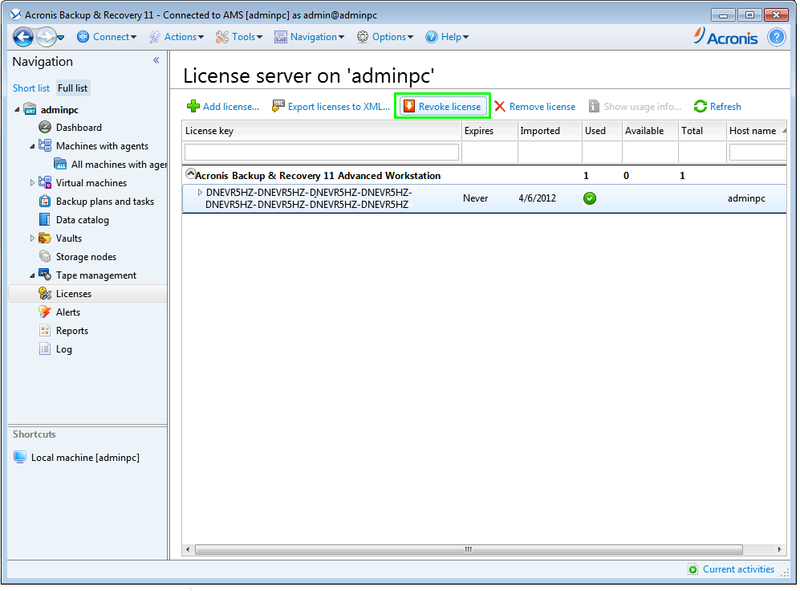 If license is not assigned, press Change and assign a license from the list of available licenses to the machine. 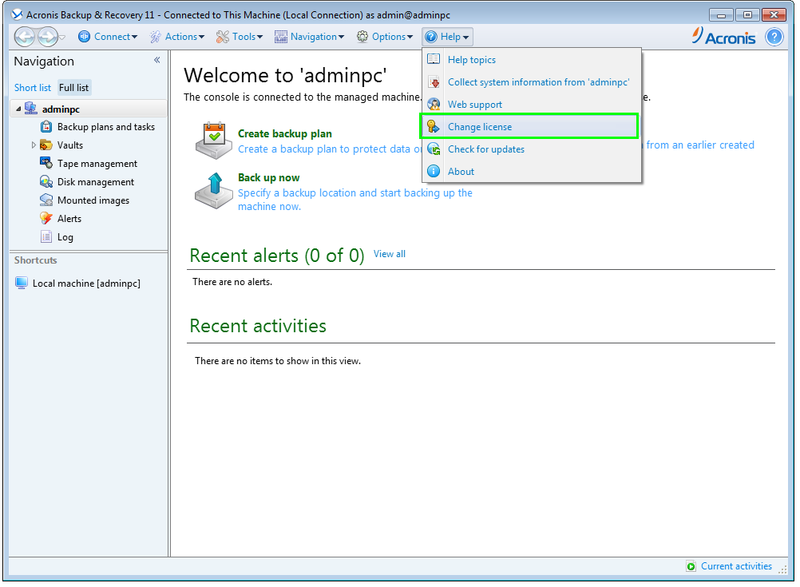 Acronis Backup Advanced: "There is no license required to perform the operation with 'name'"
Acronis Backup & Recovery 10 Advanced Errors Out with "Failed to check the license key. The key is disabled."